Every year, when I visit my daughter who lives in Oakland in the Bay Area of California, I visit Walden Pond Books, one of the few remaining independent booksellers in the USA. Most independent booksellers have not survived the onslaught of the big chain stores such as Barnes and Noble and Borders. The big chains are now struggling against a tsunami begat by the internet. The Bay Area has been a vortex of anti-establishment movements for over 50 years. Upsurges for the rights of gays, blacks, labour and many other causes were born, or were given energy at their birth, by people in Oakland and other towns around it. An independent bookstore in Oakland can be expected to carry books that question established views. Walden Pond Books never disappoints me. Every year I return with several books whose authors look differently at the world than do the celebrated authors and journalists whose views direct main-stream thinking about the forces shaping the world. The internet was not borne in the Bay Area. But its enormous power was grown by the energies of many start-ups in Silicon Valley, a few miles from Oakland. 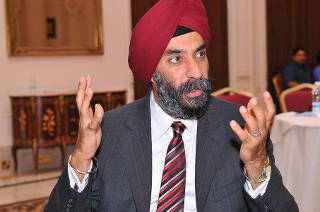 The world's largest makers of chips, computers and software; owners of the world’s largest social media platforms; and giants of e-commerce, have made the area the global centre of the internet revolution. The popular view of the internet as a democratizing and empowering force sits very well with the anti-establishment spirit of the Bay Area. Young persons in blue jeans, starting up businesses in garages, are upending the world of established businesses—book businesses, music businesses, hotel businesses, retail businesses, taxi businesses—the list is getting longer. 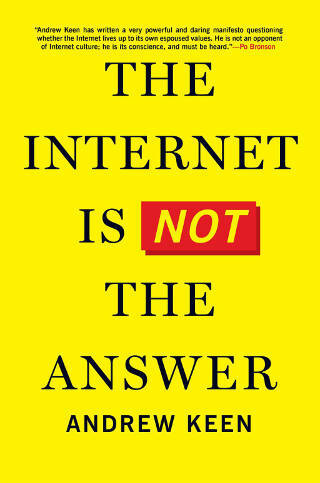 Sitting in a small independent bookshop in Oakland that may not last against the global forces for change emanating only a few miles away, I found a book with an intriguing title: The Internet is NOT the Answer (Atlantic Monthly Press, 2015). The answer to what, I wondered? I browsed through its pages. The author, Andrew Keen's view is that the internet is creating an undemocratic concentration of power. The book seemed to have a lot of information to support his view. The incredibly wealthy owners of internet platforms espouse transparency and empowerment, but do not practice these values, says Andrew Keen. For instance, the founder of Facebook, who encourages us to expose ourselves on his platform, has bought all the mansions surrounding his so he can have complete privacy. 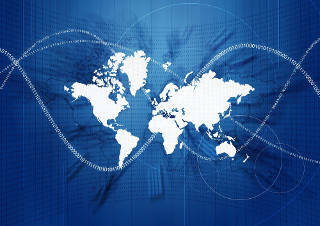 The internet and the world wide web have proven to be a boon for consumers. Consumers can choose from a great variety of products and services offered on websites, which are also accessible from smartphones anywhere. Competition among sellers is driving down prices for consumers. Moreover, consumers can access the websites without paying anything. When consumers do not pay for the use of Google, Facebook, and other wildly successful internet-enabled platforms, how have their owners become extremely wealthy? The explanation is, the money is coming from advertisers who pay them to get access to the millions of us who are eager users of internet services. These internet-enabled businesses give away their tools and services for free and rely on advertising sales as their main sources of revenue. Keen quotes a Facebook engineer who says, "The best minds of my generation are thinking about how to persuade people to click ads." The owners of Google, Facebook, and other internet businesses are selling access to us. They have monetized us. That is how they have become incredibly wealthy. When consumers do not pay for the use of Google, Facebook, how have their owners become extremely wealthy? Tim Berners-Lee, the founder of the world wide web, fought hard to make web technology free for everyone. Until 1991, Keen notes, internet commerce was an "oxymoron" since the US government maintained legal control of the internet and required companies that sought access to NSFNET, the net’s backbone, to sign an "Acceptable Use Policy” that limited such use to “research and education". In 1991, the US government closed NSFNET and handed over the running of the internet backbone to commercial internet service providers. Venture capitalists saw the opportunity to make lots of money. They funded start-ups with ideas about how the technology could be used. John Doerr, a general partner at Kleiner Perkins Caufield & Byers, describes the next 20 years as the "largest creation of legal wealth in the history of the planet". The value of the internet for its founders like Berners-Lee lay in its free access and the connections it enabled among communities of people. For the venture capitalists its value is in the money they can make out of it. "So the hell with the commune: this was business," wrote Jim Clark who co-founded Netscape Communications to sell the first successful web browser, Mosaic, that Mark Andreessen had invented at the National Center for Super-Computing Applications at the University of Illinois. The incredibly wealthy owners of internet platforms espouse values of transparency and empowerment. According to Keen they do not practice these values. His best stories are about how these people live, within enormous, gated mansions shutting out their neighbours: how the founder of Facebook, who encourages us to expose ourselves on his enormously successful platform, has bought all the mansions surrounding his in the Bay Area so that he can have complete privacy; and how a venture capitalist, who has become a billionaire investing in internet companies, has closed off public access to a popular beach along his sea-side mansion. Keen describes, with a journalist's relish, the exclusive clubs built in San Francisco by these billionaires to admit only people like themselves. These billionaires say their businesses will reduce global poverty—somehow. Meanwhile they live and meet each other in gilded enclaves from which they sweep the poor out of their sight. The story of their lives is: make a lot of money somehow, give some of it for good causes somewhere, but do not concern yourself with the lives of poorer people around you and with the impact your business may be having on their condition. I met several young professional people in the Bay Area who were resentful of the impact of the Silicon Valley giants on their lives. A woman in a financial services company says she and her mother cannot afford to live in San Francisco any more. Property prices have risen too high with employees of companies in Silicon Valley moving in to enjoy the hippy atmosphere of the city. She says her commuting time to work will increase too much when she moves, as she must now, to another town in the Bay Area. Public transport is being provided exclusively for the well-paid employees of these companies, she says. She explains that Google is running buses exclusively for its employees to take them from San Francisco to their offices. Those buses use city bus lanes and shelters created for public transport. However, only Google employees can ride in them. She muses that in these tinted-glass buses they ride to work, she imagines, peering into other worlds on their iPads and smartphones, shutting out people like herself struggling on the streets outside. Google's buses use city bus lanes and shelters created for public transport but only employees can ride in them. Another young person has already moved to Oakland because San Francisco had become too expensive, and many others are moving to Oakland he says. With this influx into Oakland, property prices in its best areas with the best civic services are rising too. And the less well off are swept away to live in communities with poorer public services and make longer commutes to work. There is nothing new in this story of new wealth, the privileges it gives to some, and its effects on the lives and thoughts of others. The internet may be very new. However the roles of wealth and power in societies have not changed with it. There have been other 'gilded' ages before, and in many places too, when some people made a lot of money when new business opportunities arose. In the later part of the nineteenth century, railroad and industrial barons built enormous mansions on Rhode Island and along the Hudson, and in Manhattan. They too built oases of comfort for themselves, where they would not be polluted by the poverty in their surroundings. The internet may be very new. However the roles of wealth and power in societies have not changed with it. What is different is the source of the wealth of internet barons. The earlier barons, as well as the super wealthy tycoons from Russia and Arabia who are buying mansions in London and New York now, made their money by aggregating physical resources, of land, oil and other natural resources, and selling the use of these to others. The internet barons are aggregating information about people, and what they are selling is access to you and me. The internet barons are aggregating information about people, and what they are selling is access to you and me. The internet may be a boon for consumers, but so far it is neither making the world better for citizens, nor making us consumers into better citizens. Google is a boon for us as consumers of information. It provides us access to a wealth of information, and for free too. Facebook and other social media platforms are enabling people to connect with others very easily, and for free. The theory is that this unprecedented ease of finding out and of connecting with each other using internet platforms must make us better citizens of the world. However, rather than making us smarter and rather than uniting us, the proliferation of information may be making us dumber and dividing us further. Internet platforms have made information abundantly available and for free. It has become an ocean of 'water, water everywhere, but not enough good water to drink'. A lot of chatter, but what is the insight? A lot of noise, but what is the signal? A lot of chatter, but what is the insight? A lot of noise, but what is the signal? The internet, social media and mobile phones bombard us with millions of bits of information, messages and tweets. It is difficult for anyone to keep in touch with everyone and everything. If we are connected, we suffer from an 'attention deficit disorder'. Coping strategies are: remain on all the time; pay shallow attention to many things; and choose the many we wish to follow from the millions we can. All these strategies make a deeper understanding of others impossible. Remaining on all the time with shallow attention reduces the depth at which we are with others. Remaining on all the time with shallow attention reduces the depth at which we are with others. People meet to have coffee together. Everyone is looking into their smartphones, and not at each other. People together at a business meeting keep one eye on their smartphone or iPad on the table, and the other to dip in and out of what is happening in the room. Internet and social media have vast 'reach', but staying connected reduces the 'richness' of the conversations among people. Internet and social media have vast ‘reach', but staying connected reduces the ‘richness' of the conversations. The third coping strategy, of choosing websites, tweeters and Facebook friends one will follow, as perforce one must, makes us stay with people we like because they are like us. We easily understand what they say. If we have to make an extra effort to understand something or someone, we just shut them out. There is no time to reflect. Thus we get locked within 'conceptually gated communities'. Across the walls are others in their own resonance chambers like we are, hearing what they like, and listening to who they like. A 2014 Pew Research and Rutgers University Report reveals that social media actually stifles debates between people of different opinions. It reports that the millennial 'Selfie' generation has lower levels of trust of others than previous generations. Only 19% of millennials (18-33 year olds) trust others compared with 31% of Gen Xers and 40% of boomers (who grew up without the benefits of smartphones and social media). Social media actually stifles debates between people of different opinions. Prolific users of social media are self absorbed. Surveying many studies, Keen says the conclusion is that "Communications are degenerating into the immediate, the intimate, and above all, the self-obsessed." Facebook urges us to reveal our 'true' selves to others. Sheryl Sandberg, Facebook's chief operating officer, says that "you cannot be on Facebook without being your true authentic self." Mark Zuckerberg, Facebook’s chief executive officer says that "having two identities for yourself is an example of a lack of integrity." The reality is that Facebook and other web-based communication platforms make it very easy for us to live many parallel lives. We do not know who the other person we can become so attracted to really is. Many internet encounters end in tragedies when the protagonists are revealed in real life as charlatans, rapists and sadistic murderers. On the internet it is becoming more, not less difficult to know who another is. It is also becoming more difficult to know who one is. On the internet it is becoming more, not less difficult to know who another is. [Or even] who one is. On the internet we can easily live in a world of make believe. Children play games in virtual worlds, imagining themselves as weird heroes (or powerful villains). Forays into the virtual world can become like addictive trips on drugs. The inventors and sellers of these addictive games make a lot of money. A new, popular game takes people one step further away from reality: the viewer need not play the game himself, just watch others playing their virtual games! Thus people float even further away and for long periods into make-believe spaces with neither time nor interest to smell real roses. "Social media creates what some have called a dissatisfied narcissism as we endlessly seek an elusive perfection, like wearing all our clothes at once. The social media knows no deference and carries with it no sense of responsibility, no awareness of its impact on others. What is happening right now becomes dominant, skewing our priorities, neglecting the longer-term impact. A world of instantaneous messaging, simultaneous multi-viewing, of data on demand but without analysis, can, if we are not careful, lead to a shallow and self-centred take on the world, a Twittering world where no one has the concentration or the time to take in more than a paragraph." There is money to be made from our addiction to social media and playing virtual games with each other. Whenever we search for information on the internet, and whenever we connect with others on social media platforms, we leave a trace. These traces can provide valuable information, about what we like and what we do, which the owners of the platforms can use, and can provide to others to use. Those others can be sellers of goods and services to satisfy our needs as consumers. And those others can be organizations that want to keep an eye on us. There is value in this information for many organizations. The owners of internet businesses who provide us free services monetize this information as well as they can to create financial value for themselves. We are more easily outraged when they give this information to government agencies. We do not want government to snoop into our private lives. The lords of the internet may be coerced to give the information to our government without any financial compensation. They may feel compelled to do this for an indirect benefit, so that they may be permitted to stay in business, to continue to service us for free and create wealth for themselves by selling information about us to others. Democratically elected governments are charged by citizens to provide them with security from internal and external threats. Therefore, they need information about what people are doing and maybe thinking of doing. However, we want to circumscribe the government’s rights to have information about us. 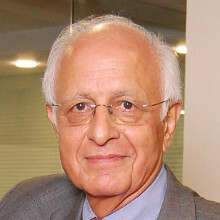 Rahul Sagar, in his book, Secrets and Leaks: The Dilemma of State Secrecy (Princeton University Press, 2013) recounts the unfinished work in the USA, going back to the formulation of its Constitution, the enactment of the Internal Security Act after the 9/11 terrorist attacks, and the outrage with the Wikileaks exposé . Much effort is being expended on how much a government elected by the people is entitled to know about citizens and what it can do with this information. Whereas, with the growth of the internet giants, citizens are letting unelected entities, who are very mindful of their own privacy, 'data-mine' so much knowledge about their private lives, and also letting these snoopers use that information as they like to serve their private ends. Technology is neutral: it has no morals. The ethics of those who deploy new technologies will determine whether the technologies will harm or be good for society. Nuclear technology can be used to generate energy and help save the planet from climate change. Nuclear technology can also be used to destroy cities and lives, and already has. 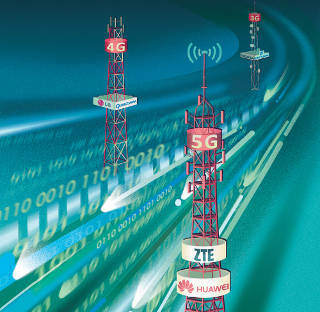 Therefore, nations and citizens are concerned that the technology should not fall into the ‘wrong' hands, and that its proliferation must be stopped. The ‘wrong’ hands can be governments of other countries. One can negotiate with governments and bring them within the folds of regulation, and India and Iran have been brought within the ambit of the nuclear non-proliferation regime. The great fear is that nuclear technology may fall into the hands of ‘non-state’ actors who cannot be controlled by any government. James Bond has been called upon many times, in Ian Fleming’s entertaining novels, to save the world from falling into the hands of villains, holed away in exclusive private resorts, who purposefully use technologies for their personal ends—to make themselves very wealthy, destroy the forces of democratic governments, and rule the world. It would be gross injustice to compare the private owners of internet businesses, who are acquiring immense power over our lives no doubt, with Ian Fleming's villains. Some owners of internet businesses may be very wealthy, and very private, but there is no evidence at all, not even in Keen's stories, that they are evil. The issue is not whether these individuals are trustworthy or not. It is, what regulations are necessary to prevent so much concentrated power over the conditions of our societies and our personal lives to remain with insufficiently regulated corporations, whose purpose is to make more money for their investors, and not the improvement of the world according to the requirements of its citizens. As Jim Clark had said when browser technology moved from a publicly funded research institution into a business venture: "So the hell with the commune: this was business." "In Darwinian terms these new corporate giants are just the latest stage in the evolution of the public corporation," says the internet historian John Naughton about companies like Facebook, Yahoo, Amazon and Google. Their imperative, like all ambitious corporations is to grow to achieve dominance in their chosen markets, and thereby produce a lot of 'shareholder value'. A hundred years ago, US society created regulations to break-up the monopolies of the first gilded age centred in the US East Coast: the trusts and empires in oil, steel and railroads. The time has come to consider what regulations are required to control the internet giants who have emerged in Silicon Valley and the US West Coast. Walden Pond Books, the bookstore in Oakland on the US West Coast, is named after Walden Pond in Concord, Massachusetts on the US East Coast. There, Henry David Thoreau, the champion of liberty and author of the essay, Civil Disobedience, had lived in a little cottage in the woods beside Walden Pond. Thoreau’s life, and his arguments for individual resistance to government in moral opposition to an unjust state, influenced many movements for resistance in the USA, and had influenced Mahatma Gandhi too. Steve Fraser compares the two gilded ages of America: the one at the turn of the nineteenth century, and the other at the turn of the twentieth, and the forms of resistance to the concentration of wealth and power in these two ages. Resistance to the concentration of new wealth and power with it, a lot of it in Silicon Valley, has not acquired much strength so far. During my visit to Walden Pond Books, I picked up another book, along with Andrew Keen's The Internet is NOT the Answer; this one by Steve Fraser. 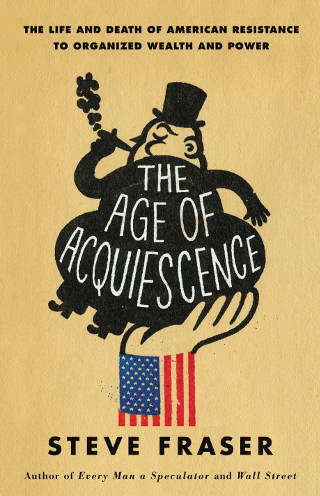 Its title also intrigued me: The Age of Acquiescence: The Life and Death of American Resistance to Organized Wealth and Power (Little, Brown and Company, 2015). A quick look inside suggested it may be a book I would want to read after Keen's book. Fraser compares the two gilded ages of America: the one at the turn of the nineteenth century, and the other at the turn of the twentieth, and the forms of resistance to the concentration of wealth and power in these two ages. 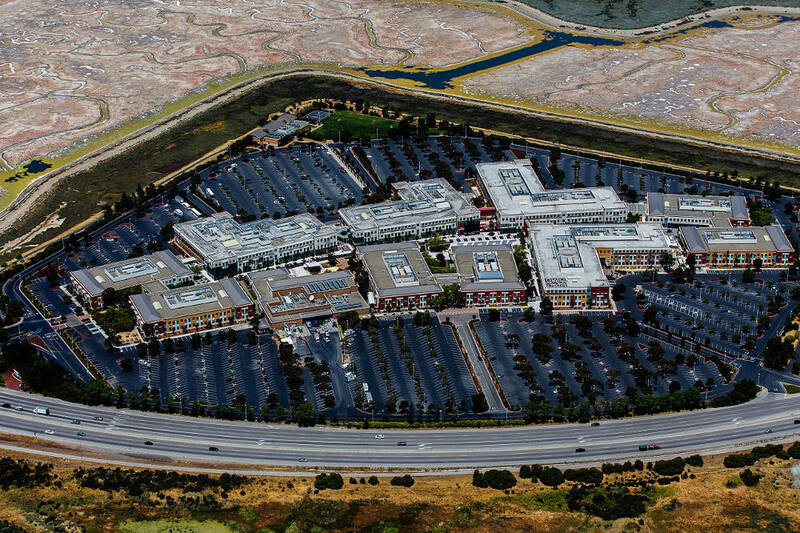 Resistance to the concentration of power and wealth in Silicon Valley has not acquired much strength so far. Fraser believes that the culture of consumerism has sapped the energy from US citizens' outrage at the undemocratic concentrations of power with wealth in their society. 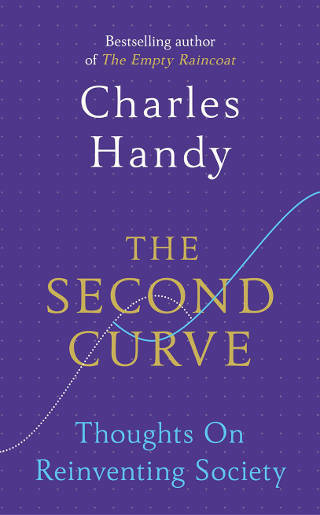 He says, 'Addiction to the multifarious delights of consumer culture—from electronic gadgetry to crystal meth, from channel surfing to sugar-injected fast food, from buffo housoleums to logo-infested T-shirt—functions after all as a kind of deliverance, a part of daily life and an escape from it'. The internet-based giants of Silicon Valley did not invent consumerism, but they undoubtedly are turbo-charging it. Their business models make our lives as consumers—of stuff, of services, and even information—much easier. Advertisers pay these businesses’ owners to get deeper access into our minds and to our wallets. Most Internet-based enterprises give consumers information and services that are not produced by their own employees. They hardly invest in equipment the providers of services need nor in the skills they require. Uber taxi drivers, for example, are 'free agents'. Uber's own costs are low, its profits high, and thus the valuations of its stock rise into the stratosphere making its owners very rich. Reddit, a front-end portal into the web, has only 60 permanent employees. Its market cap is $500 million. The management of traffic on its web-site, by curation, moderation and filtering of information, which gives its users the value they seek from it, is done by independent 'mods'. They are free agents, not Reddit employees. In recent months, Reddit has been having 'labor' troubles. Its independent mods and other free agents who serve it, went on strike. They demanded that Reddit invest in improving the tools they are provided to make their work easier. Popular portions of Reddit's site were shut down forcing Reddit's owners to sit up and take notice. People, who are part of extended production systems, may be conveniently kept out of sight by the owners of businesses. But they must not be kept out of mind. Customers are being given more choices by internet businesses. Workers are given more opportunities to work as free agents rather than employees of corporations. Meanwhile the capitalist owners of these enterprises become very, very rich. This is apparently a world of happy consumers, happy workers, and happy owners: the market and capitalism at its best. So what is the problem? The problem is that citizens care about other matters too, than just their incomes and what they consume. They care about social justice and about fairness in relationships. They become resentful when they feel that they are being unfairly exploited to make others much better off. "There is a fear even more dreadful: namely, that we can no longer imagine a way of life and labor at odds with capitalism. The horizon is closing in. Everything in this inventory of acquiescence and fear also confronted our forebears living through the long nineteenth century, although in ways peculiar to that time—all, that is, except something so elemental it might pass unnoticed. Now but not then. Capitalism seems the only answer to the riddle of history. We have become the slaves of a kind of fateful determinism, gussied up by supplication at the altar of technology and the marketplace." I believe that two sets of values are clashing and their conflict must be resolved to build a good society that is both capitalist and genuinely democratic. Good governance within capitalist enterprises is founded on the principle that one dollar equals one vote. Those who own more of an enterprise must have a greater say in how it is run. Of course the views of minority owners must be considered and the thrust of good corporate governance practice is to ensure that the large owners do not trample upon the interests of the smaller ones. A genuine democracy works on the principle that one heart equals one vote. Whether a person owns a billion or not one dollar even, is black or white, male or female, their votes must be equal. Concepts of governance founded on the capitalist principle of many more dollars must mean many more votes cannot co-exist easily with concepts of governance founded on the human principle that all persons have an equal right in the governance of their society. The two systems are founded on fundamentally different values. Therefore it is no surprise that when they connect, they will clash. It is like plugging an appliance designed to run on AC current into a socket with DC current. Something will blow up. New institutions must be evolved that honor those values that we care most deeply about. This is the challenge of our times. With the rapid growth of Internet-based business giants, it has become imperative to find solutions to four important questions about institutions and governance of our societies. The first is the role of business corporations in society. Can we allow institutions whose constitutions charge them with the creation of wealth for their owners and investors, and who are given the protection of limited liability for the consequences for their action, to be as free of regulation by our elected governments as they want to be? Are the masters of these institutions not going too far when they demand that their disputes with elected governments should be settled by some other body, not beholden to governments, to protect investors’ interests which are to make more money? What about the consequences of these corporations’ actions, as they pursue the creation of wealth for their owners, on the lives of people, their communities and their environment? Who should citizens trust to look out for their interests—their elected governments or private institutions who are not accountable to them? The second question is, how much information should even an elected government be permitted to have about individuals for the sake of ensuring the safety of others? And how will the use of this information be regulated? Related to this is the question whether privately owned institutions should be allowed to gather, hoard and use such personal information, and how these institutions must be regulated. The third question is to understand the effects of social media, with its shallow, short twittering, and the narcissism it is promoting, as well as the long periods of time it is persuading young people to spend in virtual worlds, on their development. Is it making them better citizens or worse? And, how is the internet and social media affecting their psychological and emotional development? How is the internet and social media affecting [young people’s] psychological and emotional development? The fourth question is how to harness the technological abilities of the internet and vast reach of social media to facilitate more democratic and more thoughtful conversations and consensual agreements? Without moderation of conversations on the internet, there cannot be any richness in them. They are high jacked by battles among trolls, descend to use of insulting language, and turn into meaningless numbers games of how many liked and how many did not like a phrase. Without moderation of conversations on the internet, there cannot be any richness in them. The answers to these fundamental questions about the role and values of the internet and social media cannot be found from the internet and social media itself. Deep and democratic deliberation, which is not possible so far on social media, will be required in other forums that can lead to shared insights and agreements about what should be a society’s ways of governing itself and regulating the power of the internet and social media, whose effects may be proliferating as fast and as far on our minds and societies as the fallout from nuclear explosions can on the physical conditions of our environments.